A switch with a positive on / off action. 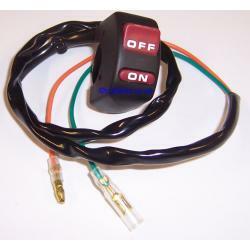 Useful as a kill switch if you prefer this type, and can also be used for lights. The cable length is approximately 600mm and it fits 22mm handlebars.